When I saw this I must confess that I got chills up my spine. Could this play a huge part in fulfilling Bible prophecy? I will leave that conclusion to the reader. In gratitude to US President Donald Trump for recognizing Jerusalem as the capital of Jerusalem, the nascent Sanhedrin and the Mikdash (Temple) Educational Center are minting a replica of the silver half-shekel Biblically mandated to be donated by every Jewish male to the Temple. 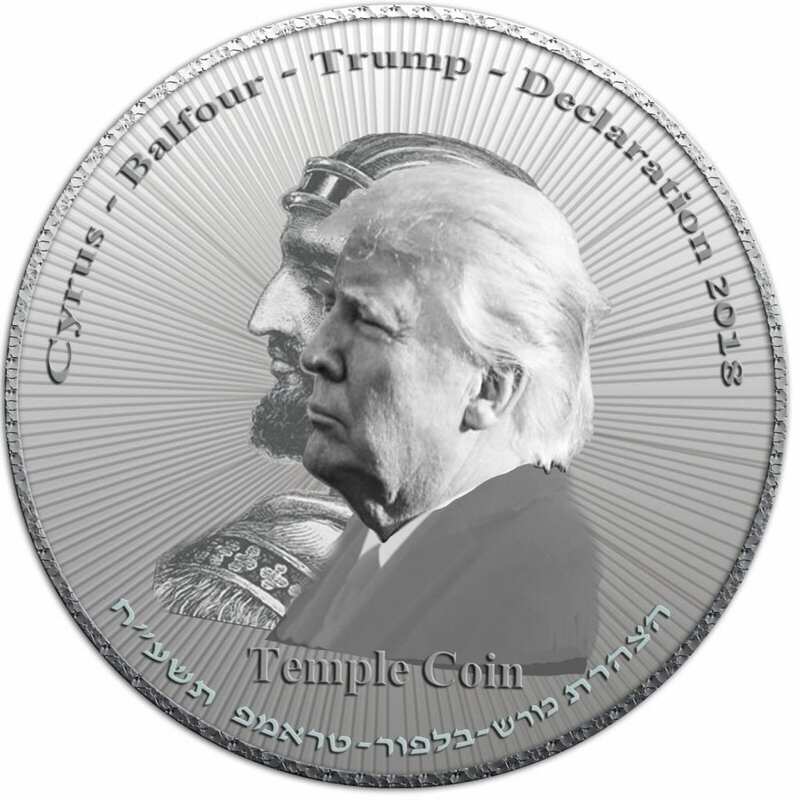 Rabbi Hillel Weiss, Chairman of the Mikdash & Tsion Association that initiates the Temple reenactments and represents all the Temple movements, explained that the initial motivation for the putting the image of the US president on the coin was in gratitude for his support of Israel. An image of President Trump will be engraved alongside an image of the ancient Persian King Cyrus, who facilitated the building of the Second Temple that ended the Babylonian Exile in 538 BCE. An inscription commemorating Lord Arthur Balfour, the British Foreign Secretary who issued what was dubbed the “Balfour Declaration” that called for establishing a Jewish homeland in what was then the British Mandate of Palestine, will also appear on the face of the coin. The reverse side of the coin will be engraved with an image of the Temple. Rabbi Weiss stressed that Trump’s goals will come to fruition only if they are geared towards rebuilding the Jewish Temple. “Cyrus and Balfour, non-Jews who played an enormously important role in Jewish history fell short and their political success suffered as a result,” Rabbi Weiss said. Mordechai Persoff who established the Mikdash Educational Center which educates Jews about the Temple through formal and experiential education, said that the Trump’s image is appropriate in light of his powerful example as a non-Jew who has assumed a role in the geula (redemption) and the building of the Temple. “God gave us the land as part of the covenant but non-Jews have always played an important role in waking us up to return to Israel,” Persoff told Breaking Israel News. The coin will contain at least 9.5 grams of pure silver as mandated by Jewish law, but Rabbi Weiss emphasized that the coin itself is not intended to fulfill the Biblical commandment. As a result, it is not officially sanctified and designated for use in the Temple. “The mitzvah (Biblical commandment) is for Jewish men of specific ages to sanctify the coin to the Temple. Until the Temple is built, it is not possible to sanctify anything to the Temple,” Rabbi Weiss explained. 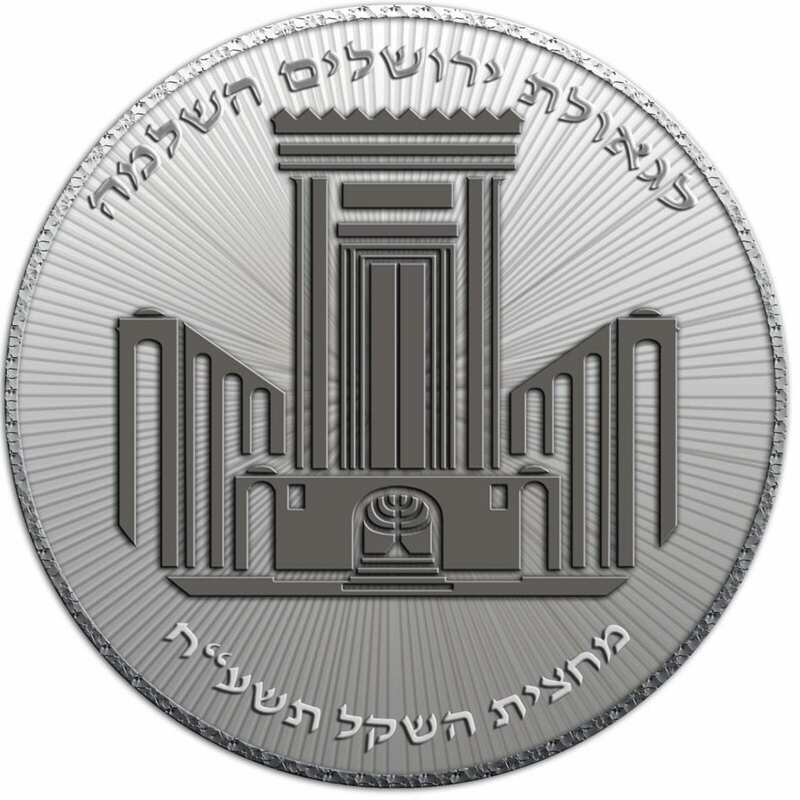 Proceeds from the sale of the coin will be used in reenactments of Temple services as well as in other educational and practical endeavors that help prepare for the Third Temple. Brethren – could we really be that close to these end time events? Things are progressing at such speed, it can take our breath away! By asking for the temple they don’t realize the Antichrist will occupy the temple right? Which means the Rapture of the Church is very very close and can happen at any time I pray soon.